Blending together traditional RPG systems, tycoon mechanics and a fantasy overworld, Merchant aims to reimagine the traditional mobile RPG. 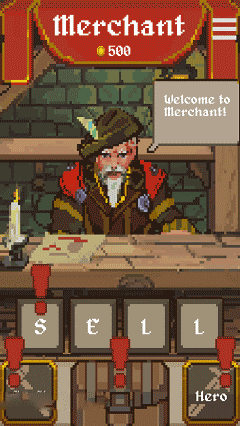 In Merchant, players take the role of a shopkeeper who must manage a team of Heroes and Crafters. 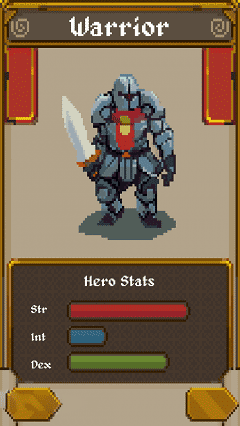 Heroes are sent out on quests in order to fight enemies and gather materials. Crafters then use those materials to create weapons and armor. 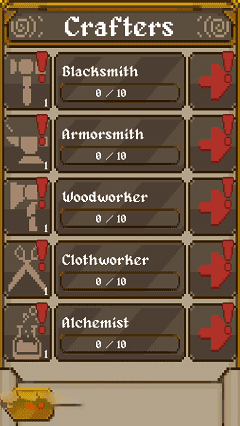 As the shopkeeper, players must balance their micro-economies between selling items for gold and crafting items to better ensure success for the Heroes. Download last version Merchant apk + Mod (a lot of money) for android from revdl with direct link.